You, out of all your friends, are the go-to person for makeup and hair. You love experimenting with hairstyles and color. Not only do you have a natural talent for it, but you also have the passion and drive. This is it; cosmetology is the career for you. Nothing can stand between you and cosmetology school. Find out more about becoming a licensed cosmetologist. Not all cosmetology schools are created equal. Even if they were, not all would be a perfect match for YOU. When beginning your search for the perfect cosmetology school, there are some things to ask yourself, and the admissions department, before making your final decision. What type of financial aid options are there? Are tools, books, supplies included? Is it possible to shadow for a few hours? What programs are taught: nails, skin, barbering, etc.? How well are students prepared for the state boards? What’s the student to teacher ratio? Is there an opportunity to practice skills on people? Is there a job placement program? On a more personal level, when picking your cosmetology program, consider things such as the location of the school, if it is affordable even with financial aid, and the school’s reputation. If you took a tour of the school, ask yourself how comfortable you were there. Is it a place you could see yourself going to nearly every day, all day? Most beauty schools average 8-9 hours of class per day. Every state has its particular set of licensing requirements for cosmetology. Most states set the minimum prerequisites at 16-18 years old with a high school diploma or GED, and the passing of the cosmetology state board after completion of cosmetology school. Again, each state is different in its expectations for cosmetology. As far as beauty school, every state has its set of minimum hours, along with specific courses that must be included with the education. Educational hours across the country range from 1,000-2,000. You can also choose to specialize, and dedicate your skills to one area. Average education hours for manicurists or nail technicians runs around 300 including coursework and hands-on training. Esthetician hours can be as few as 300 or as high as 1,500, depending on the state. Cosmetology programs are located through community colleges, beauty schools, or vocational schools. There are certificates, diplomas, or associate degrees available for cosmetology. Certificates can take 9 months, diplomas 12-18 months, and associate degrees usually take two years. Keep in mind, beauty schools and cosmetology schools are essentially the same thing. Also, they may have the words "academy," "college," or any variation of those in their names. It’s strictly for that school’s branding purpose and has nothing to do with one type being any better than the other. Even though every school in every area is a bit different, there are still similar courses across the board. They may have different names and use different textbooks, but the concepts are similar. You will also learn how to perform all these services directly on a client. Many beauty schools allow for the public to come in for full services. You, the student, get practical skill credit for applying your skills on a living human being, instead of a beauty school mannequin. After you’ve graduated from your state-approved cosmetology/beauty school, you must take a cosmetology state board exam to practice your chosen trade legally. Most states use the National-Interstate Council (NIC) of State Boards of Cosmetology for both the written and practical forms of the licensing exam. When it comes to the licensing exam, each state has its own requirements. Some states call for just the written part of the exam, while other states may insist on the whole shebang. It’s important to refer to your school; it will share that information as well as help you prepare for the exam. The license must be renewed regularly. Again, each state has its deal. Usually, you can expect a minimal number of continuing education hours, and you must be able to show proof. The cost of cosmetology school can vary wildly, depending on what school you choose and where it’s located. If you know you’ll need financial aid, then you must attend an accredited cosmetology program. Otherwise, government funds are not available. Cosmetology school tuition costs anywhere between $5,000-$22,000. Tuition does not usually include extra costs like textbooks, cosmetology kits, uniforms, and when applicable, boarding. The average cost for cosmetology school textbooks runs between $2,000-$3,000. Supplies can add a few hundred dollars, as well. Cosmetology school may seem like it’s expensive, but the costs can be offset by applying for financial aid. Learn more about financial aid here, but also make sure to talk with school admissions regarding your financial aid options. Schools that are members of the American Association of Cosmetology Schools also have available scholarships. Cosmetology is the umbrella heading and underneath; there are a variety of careers to choose from. While your cosmetology education should be well-rounded, learning every main area of the field, you will probably decide to focus on one aspect of this career when you get out into the real world. There is always a demand for hairdressers or stylists, barbers, skin care specialists, and cosmetologists. However, beyond those careers, there are a plethora of others to consider. And those cosmetology careers are just the tip of the proverbial iceberg. If you can dream it up, then you can achieve it! 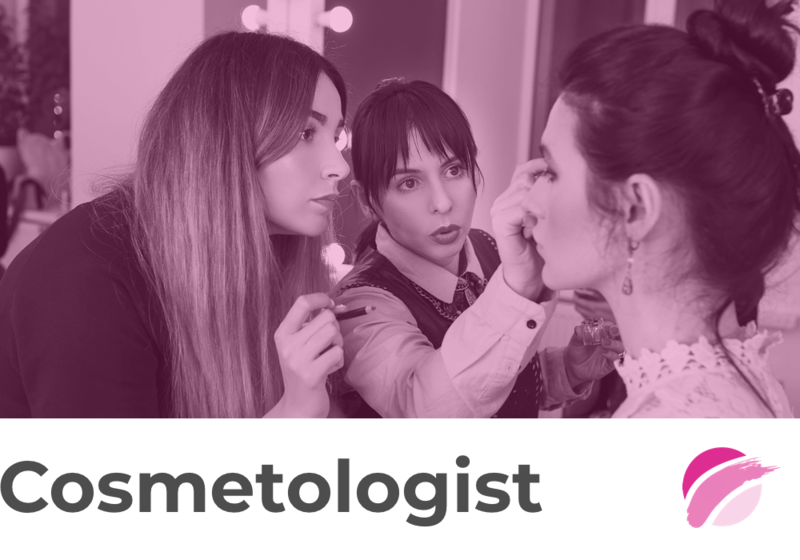 Employment growth for cosmetologists ranges depending on the profession. Barbers, hairdressers, and all other cosmetology careers, aren't looking too bad. Between now and 2026, cosmetology jobs are expected to grow 13 percent, which is faster than the average when compared with all other occupations. Due to factors such as posting to social media channels, and perhaps the rise in population, more people will be looking for a professional to do their 'dos. Highlighting, straightening, dyeing—you name it, we want and need it done. And not just with anyone, but with licensed, qualified cosmetologists. There is competition over available jobs, especially in busier salons. Cosmetology is a recession-proof career. No matter what’s going on in the economy, people still find the funds to get their hair and nails done. It’s those little pleasures that give peace of mind and self-confidence, regardless of what is happening in the world. The median pay for barbers is $12.33 per hour. Entry-level barbers earn approximately $8.95 per hour, while the more established barber will bring in $48,484 annually, which translates to $23.31 per hour. Hairdressers/stylists earn a little less than barbers annually. The median pay of a hairdresser is $11.95 per hour. Beginners will make $8.73/hour, and those with a regular, long-time clientele will average $24.36/hour. These wages do not reflect tips, which can add significantly to your bank accounts. If you’re looking to make even more money working in the beauty industry, there are quite a few career options that make over $50,000 per year. Esthetician: With an established client list, estheticians make well over $50,000 annually. Salon/Spa owner: The six-figure income potential is perfect for successful salon and spa owners. There is a lot of work involved, but the rewards can be financially fruitful. Product developer: Consumers love their products. 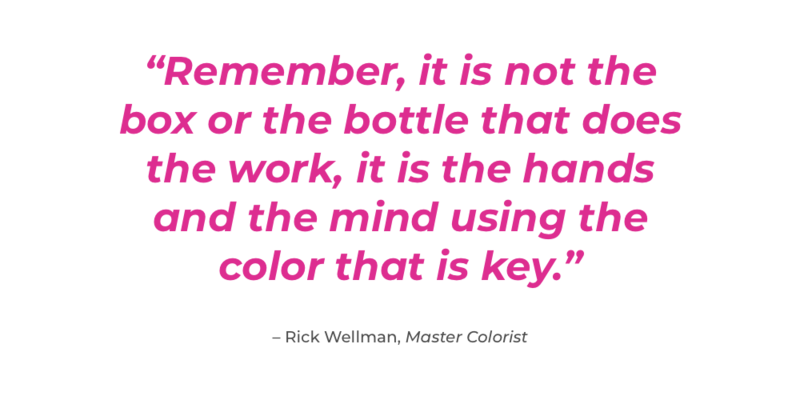 Product developers help create the look, smell, and feel of beauty products. Their salaries can top $80k per year. Theatrical and performance makeup artist: Work with theater performers, creating their look for the stage, and earn $60,000 per year. Special effects makeup artist: Create complete transformations with your makeup skills. Work on movie and stage sets and bring home over $50,000. Celebrity makeup artist: This glamorous career has you working with the stars. This is an exceptionally competitive area of the industry, but the salaries can be well over $90,000 annually.